"Long-term monitoring is fundamental to understanding the natural environment and effectively addressing major environmental problems." The Greater Murray Biodiversity Monitoring program is managed by Damian Michael and is designed to compare biodiversity on farms under different management regimes and evaluate the response of woodland wildlife communities to improved woodland management. The program encompasses two broad study areas; the Riverina Bioregion in southern NSW (which commenced in 2007), and the North East and Goulburn catchments in Victoria (which commenced in 2009). In NSW, sites range from Savernake to Moulamein. In Victoria, sites range from Talgarno to Merton. This monitoring program includes 151 sites and 53 private landholders. The involvement of these landholders is vital to the project and the field team highly values their ongoing support. Comparing patterns of biodiversity across different management regimes, the two projects monitor changes in vegetation and woodland fauna associated with financial incentive delivery schemes. Birds, frogs, reptiles and vegetation surveyed on a regular basis. 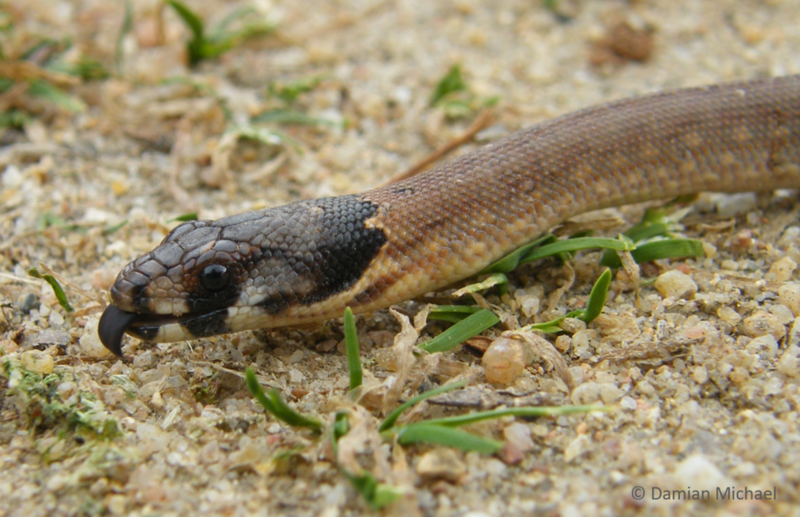 Simultaneously, the comparative use of active searches and artificial substrates to survey reptiles in agricultural landscapes is being investigated. Possums, gliders and other arboreal marsupials are surveyed every second year in Victoria. In NSW, the vegetation types surveyed include Grey Box Grassy woodland, Black Box Floodplain Woodland, Yellow Box/Cypress pine Sandhill Woodland and Weeping Myall Woodland. This study is supported by the Murray Local Land Services (formerly Murray Catchment Management Authority) and the Australian Research Council. Other partners involved in the project include NSW National Parks and Wildlife Service, Trust for Nature Conservation and the Holbrook Landcare. Sites range from Savernake to Moulamein in NSW, and from Talgarno to Merton in Victoria. Two vegetation types are surveyed in the Victorian study area, White Box-Yellow Box-Blakely’s Red Gum Woodland, and Buloke Woodland. The Victorian project is supported by the North East and Goulburn Broken Catchment Management Authorities. Other partners include Parks Victoria and Nature Conservation Trust. The field team would like to acknowledge the vital roles played by Rebecca Montague-Drake and Jacqui Slingo in these projects. Rebecca was heavily involved in the setup of the NSW Murray study. Both were heavily involved in site monitoring and database management of the studies. Left to right: Billy Button in an ephemeral wetland, Hooded Scaly-foot Pygopus nigriceps, Short-beaked Echidna.